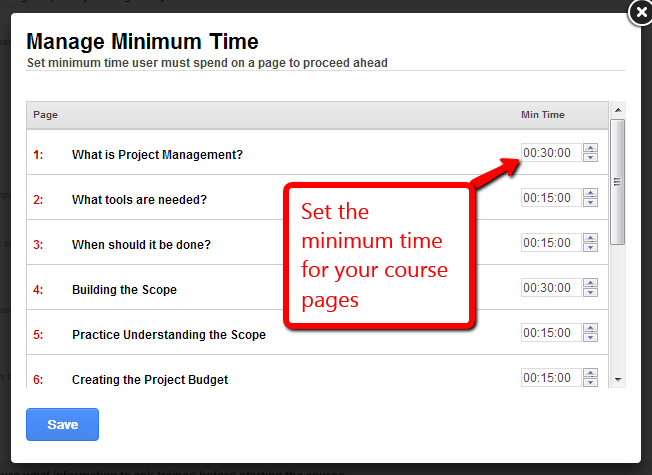 How do I ensure learners spend certain minimum time in my course? As a course instructor, you can prevent learners from skipping important sections of your course by setting a minimum page activity time on course pages, videos etc, before they proceed to the next page. Step 1: On the “edit settings” page of your course, click on “Security and Tracking” tab. Step 2: Click on box which says “Min. Time To Proceed” to select “Yes” and then click on “Manage Time”. 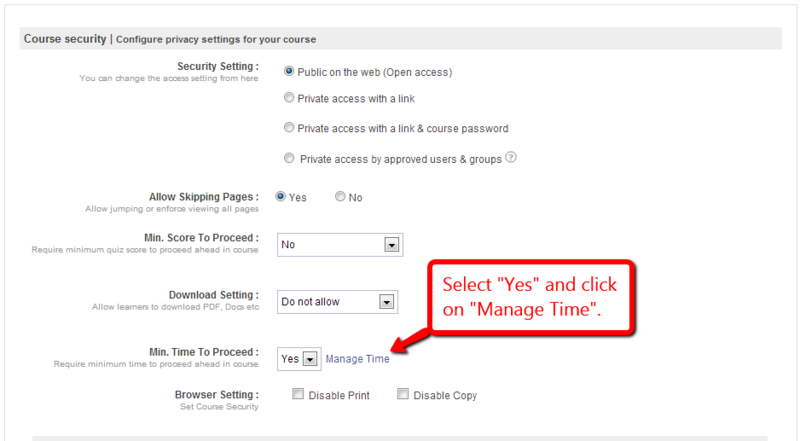 Step 3: Now set the time for your course pages, videos, quizzes and “Save” your settings.